Offering a minimalist design, creating a feeling of balance and harmony. Fantastic 'maintained like new' condition. True outdoor living and generous deck spaces. Elevator to all decks apart from sun deck. Excellent feedback from previous charters. Outstanding charter orientated crew led by Captain Tom Graham. Now offering massage, yoga and beauty treatments. Private balcony in the Owner's suite. Dedicated areas for cinema and beach club. 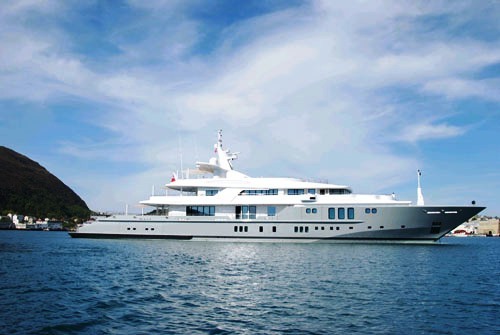 SIREN is available for June and July, 2017 in the Mediterranean. Book now to avoid disappointment! SIREN is also available from mid-March, 2017 until 29 March and again from 18 April onwards in the in the Caribbean, Bahamas and Cuba. Early May charters will also be considered. SIREN’s ability to separate the formal dining room from the saloon and the master stateroom’s ability to split the sitting room from the sleeping area create multiple purposes for the boat. 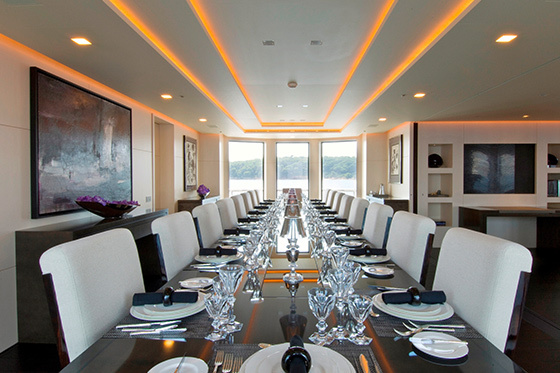 Eighteen guests can be seated in the dining saloon for board meetings, while the master cabin’s sitting room that converts to a 7th guest cabin creates an extra cabin for that very special guest. 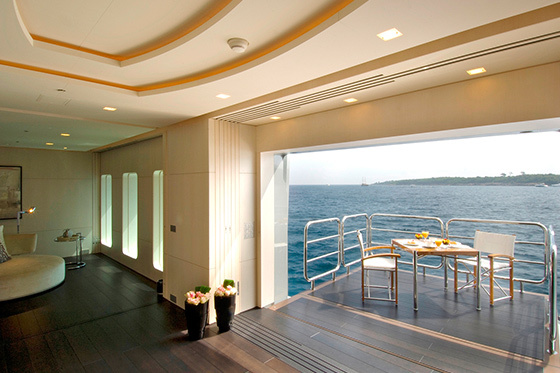 A 3-floor elevator connecting the main floor to the bridge and sun decks makes the yacht wheel chair friendly. 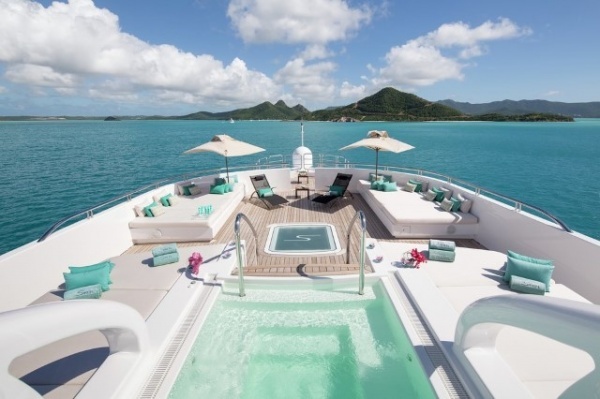 A 241′ Nobiskrug, built in 2004 for 17 crew, Siren’s master stateroom features a revolving sofa, a reclining balcony, and a bathroom dressing room with steam room. 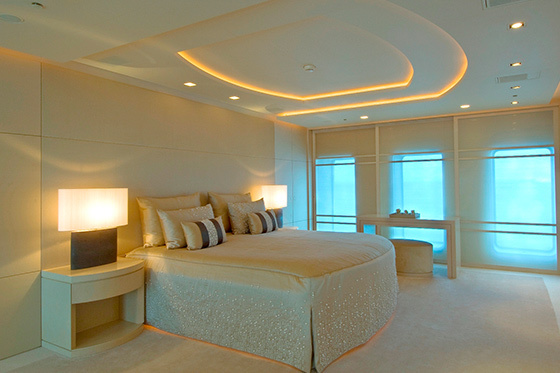 In addition to the two cabins that the master stateroom makes, the four staterooms below and the VIP stateroom on the bridge deck all have streamed movies, zoned music, and spa bathrooms with slippers, robes, stone vanities, and glass showers. A dedicated cinema adjoins the skylounge on the bridge deck, which opens through a glass entrance onto a spacious upper aft deck, offering al fresco dining. 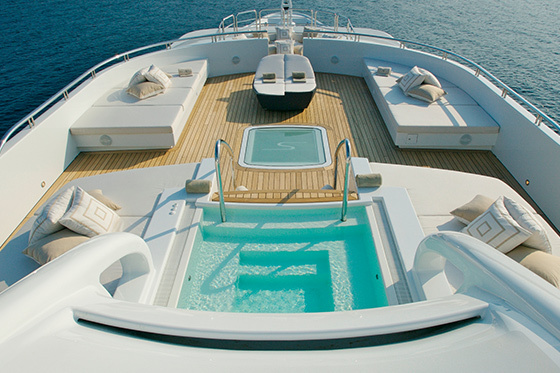 The beach club sports a jetty, watersports garage, and spa area with onboard masseuse and beauty treatments area. 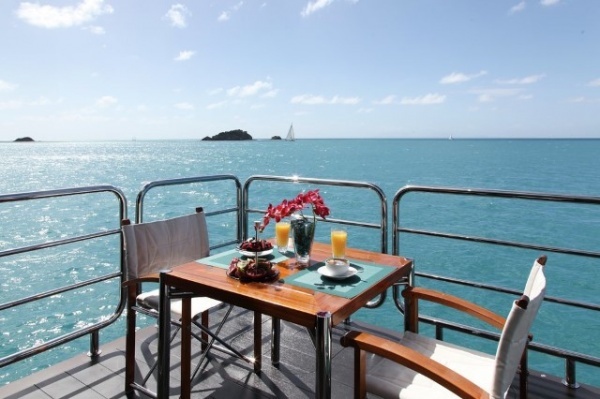 Guests gain a vantage point from using “the egg” on the sun deck, complete with helipad. 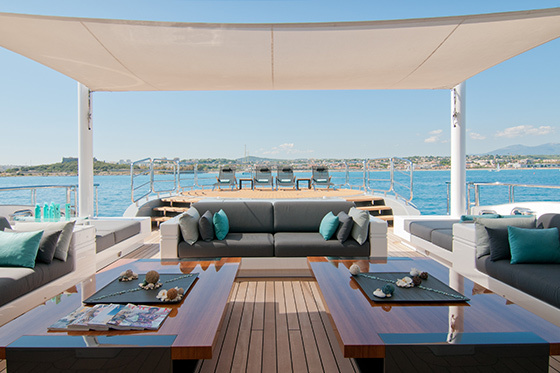 SIREN sails the Eastern Caribbean islands during the winter and the Western Mediterranean for the Summer of 2017.